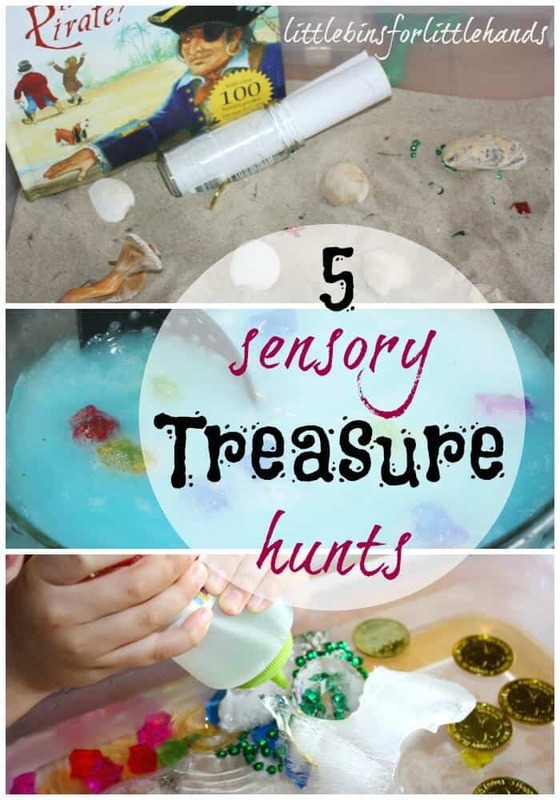 Fun and easy treasure hunt sensory play ideas for an afternoon of adventure, play, and learning! Prepared to dig for treasure, hunt for gold, and read pirate maps with our simple to set up sensory play activities. Treasure hunts are always a hit and adding sensory play is so much fun. These 5 ideas are simple to set up too. 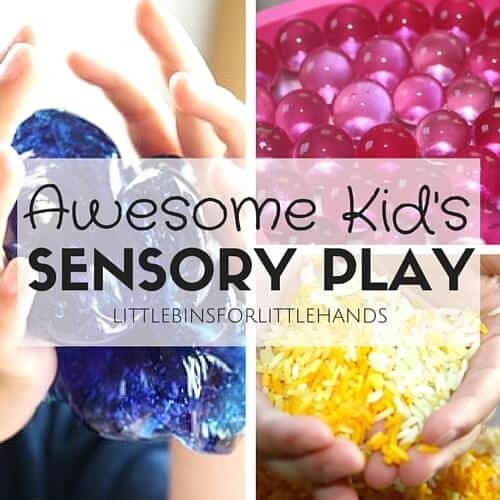 Sensory play doesn’t have to be complicated. Paired with a fun book or a homemade treasure map, you have a perfect early learning, hands-on play activity to take your child on an adventure! Check out this idea to make a golden treasure chest easily! One morning before camp, we read this wonderful book together! A boy and his grandpa go on a treasure hunt! Hidden through the book are 100 pirates to find. So much fun to read together and at the end he asked if we could have a treasure hunt too. I used our beach sand sensory bin as a base. 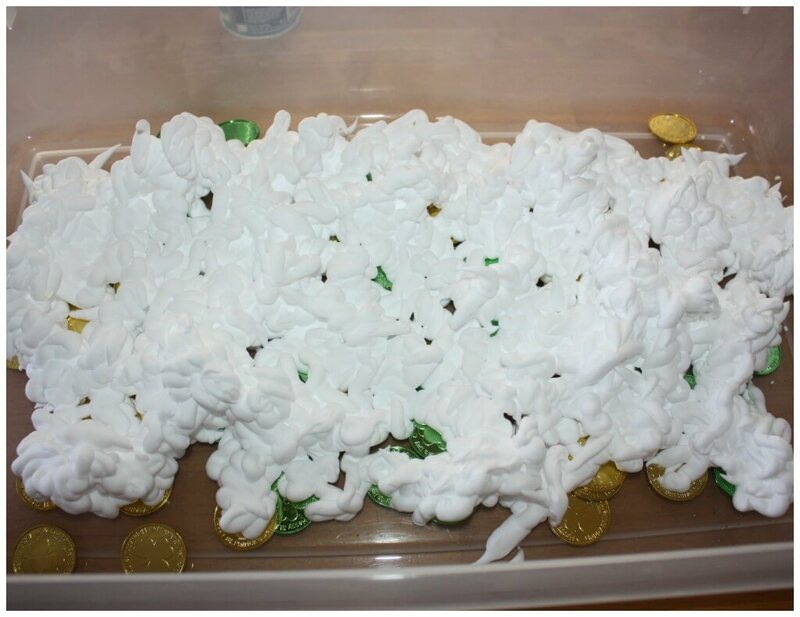 From all our favorite sensory bin goodies (check them all out), I added pirate coins and pennies, jewels, a necklace, and trinkets. I counted out a specific amount for each and made a homemade treasure list. I rolled up the “map/list” and stuck it into a bottle and placed it in the sand. Shells from our recent beach trip added to the theme! He enjoys knowing what to look for and how many to look for as well, so this list was very interesting to him! This treasure hunt is awesome number recognition and counting practice with lots of play! We have been playing with tons of ice here this summer Paired with a fun book! I used the same treasure as above and added them to layers of ice. We are working on fine motor skills so we used a variety of everyday tools to practice and find the hidden treasure. See what we did here or click on photo! This summer we participated in a three day sensory sink challenge with another blogging friend. 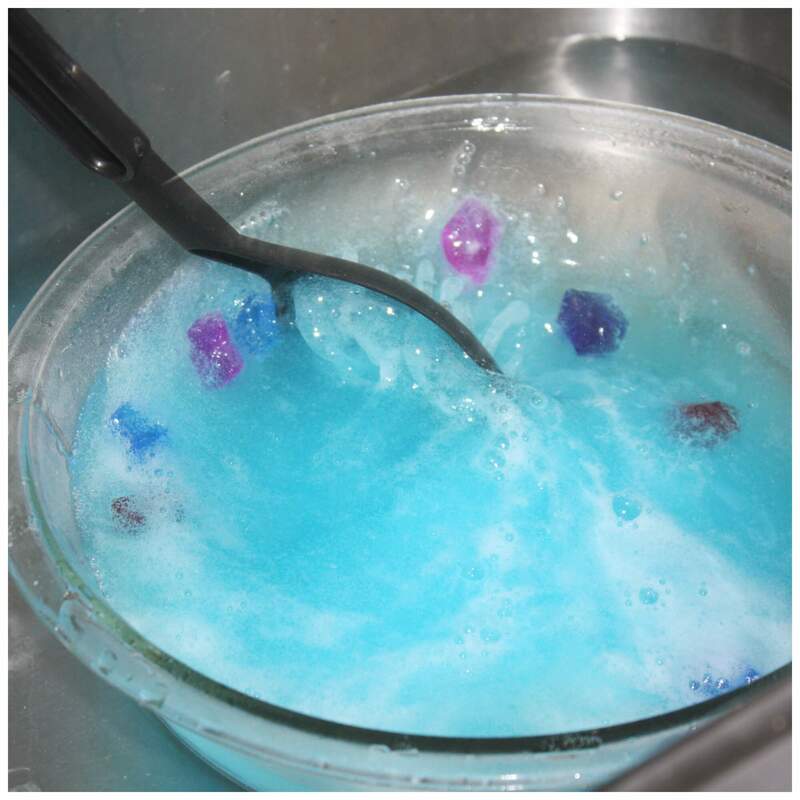 For our science themed sink, we made fizzing jewels with 2 simple ingredients! Check out how we did it here or click on photo! You know we enjoy pairing some favorite books with sensory bins. Here is another simple treasure hunt that incorporates letter recognition too! See how we re-use our materials in so many ways! Click here to see our alphabet pirate treasure hunt or click on photo! Although we made this for St Patricks Day, it would be perfect any time for a treasure hunt. This made for a fun and quick playdate activity. A bit messy but a blast! Click here to see our play or click on photo! 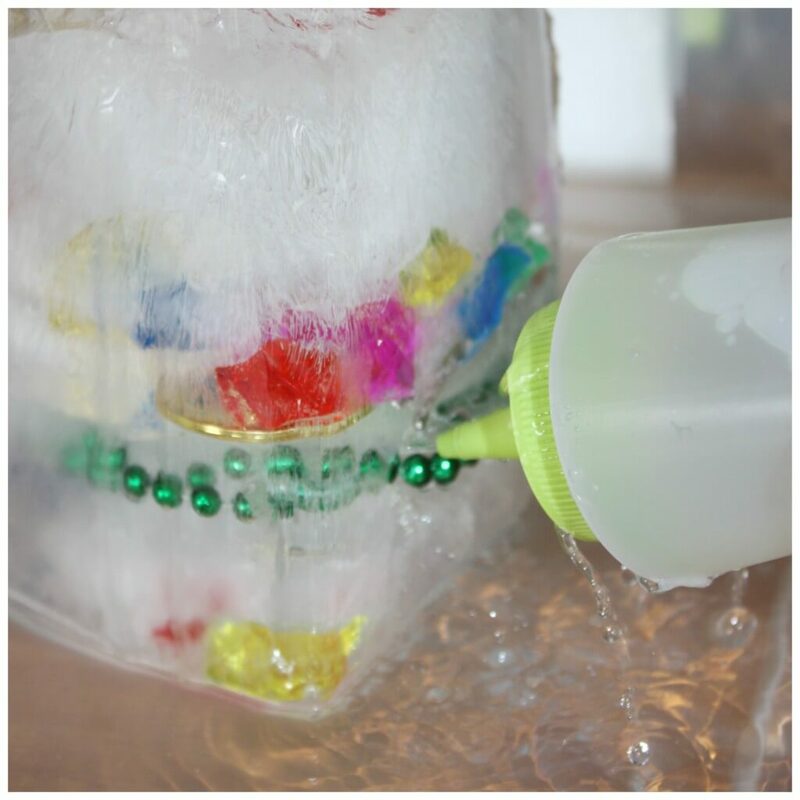 TRY A TREASURE HUNT SENSORY PLAY IDEA TODAY!